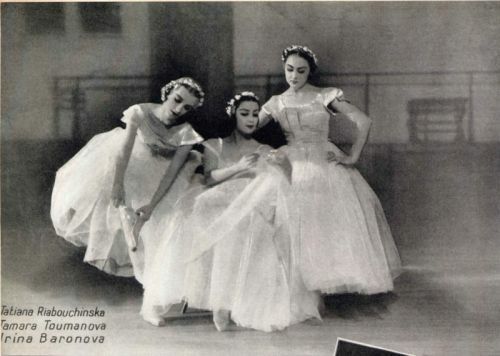 Irina Baronova, Tatiana Riabouchinska, Tamara Toumanova. The Baby Ballerinas were 3 young leading principal dancers of the Ballet Russe de Monte Carlo in the 1930s. They were individually selected by George Balanchine, and deemed the "Baby Ballerinas" by ballet critic Arnold Haskell based upon their age.